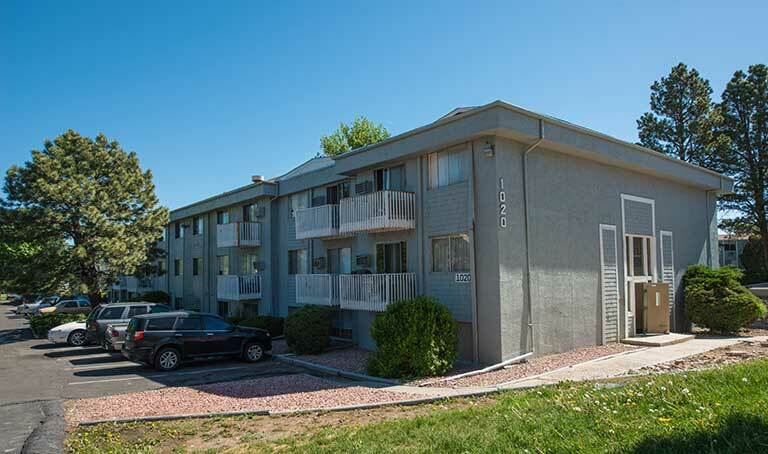 A Denver-based multifamily investment firm closed on a $102.25 million apartment portfolio – one of the largest multifamily sales of recent record in the Colorado Springs market. “This portfolio is one of the largest multifamily sales of recent record for Colorado Springs and Nexus is honored to be part of a transaction that has such a big influence in the Springs community,” said Adam Riddle of Nexus Commercial Realty LLC, who, with Nexus’ Jason Koch, represented Slipstream in the transaction. The seller was a longtime Colorado Springs apartment owner, which has been selling pieces of its portfolio over the last five years to reduce the portfolio size. This represented the last of the multifamily buildings that they owned and operated. “We had a very complicated deal and through a combined effort we were able to get it to the finish line. We are all very happy with the outcome,” said Todd Ragan, who represented the seller. Slipstream had been aggressively looking in the Springs submarket for some time to add more properties to its growing portfolio. It was attracted to the close proximity of many of the assets, the value-add story of the investment and the ability to quickly scale its growth, according to Nexus. Properties included in the portfolio include Pine Creek Village, Shannon Glen, Cedar Creek Club, South Pointe, El Vecino, Timbers Apartments and New Horizons. Pine Creek Village was the largest of properties included in the portfolio with 312 units. The 1974 community at 720 Chapman Drive sold for $29.2 million. The property comprises mostly two-bedroom, two-bath units and features a swimming pool, playground, laundry facility and views of Pikes Peak. Shannon Glen, which comprises 192 units, sold for $17.8 million. Constructed in 1974, the property includes a clubhouse, swimming pool and five laundry facilities. It is located at 260 N. Murray Blvd. The Cedar Creek Club Apartments at 1030 S. Chelton Blvd. comprises 175 units. The 1971 property sold for $14.25 million and consists of mostly two-bedroom, two-bath units. Cedar Creek Club has a swimming pool and five laundry facilities. The South Pointe Apartments comprises 162 units that were built in 1971 and sold for $13.35 million. The community at 3815 Lakehurst Drive consists primarily of one-bedroom and one-bath units. South Pointe also features amenities such as a swimming pool and six laundry facilities. The El Vecino Apartments sold for $12.25 million. The 174-unit community, built in 1974, features a playground, swimming pool and five laundry facilities. It is located at 1806 Monterey Road. The 84-unit Timbers Apartments sold for $7.35 million. The 1962-built community features a mix of one- and two-bedroom units with amenities such as a clubhouse, playground, swimming pool, two laundry facilities and full covered parking. It is located at 2818 Airport Road. The New Horizons Apartments is the smallest of the portfolio with 79 units. Built in 1974, the apartment community at 4975 El Camino Drive sold for $8.05 million. Amenities include a clubhouse, an indoor swimming pool and laundry facilities. Each of the properties is convenient to major employment drivers, including the Colorado Springs Airport, The Broadmoor, downtown Colorado Springs and other major retail and entertainment centers. Holliday Fenoglio Fowler LP arranged the debt and equity capitalization for the acquisition and renovation of the portfolio. HFF worked on behalf of the sponsor to secure the interest only loan with a national lender at a floating interest rate of 3.5 percent over 30-day Libor. The total loan commitment is equal to 79 percent of the anticipated total project costs, including future funding to renovate the entire portfolio. In addition, the team arranged Slipstream’s joint venture equity partner for the investment. The HFF team representing the borrower included Kristian Lichtenfels and Josh Simon. The property manager, Colorado Springs Apartment Management, will be working with existing residents and employees to ensure a smooth transition from the former owner and management company. It hopes to employ as many of the former management company’s employees as possible and will be looking to expand the staff thereafter. “The Springs is a quickly changing market and one that we are excited to be a part of locally while exposing the area’s potential to a national platform of investors,” added Koch.